1-BHK studio apartments, Study with specious and dinning and living studio apartments is available in Nimbus Golden Palm at Sec-168 , Noida Expressway, Noida. 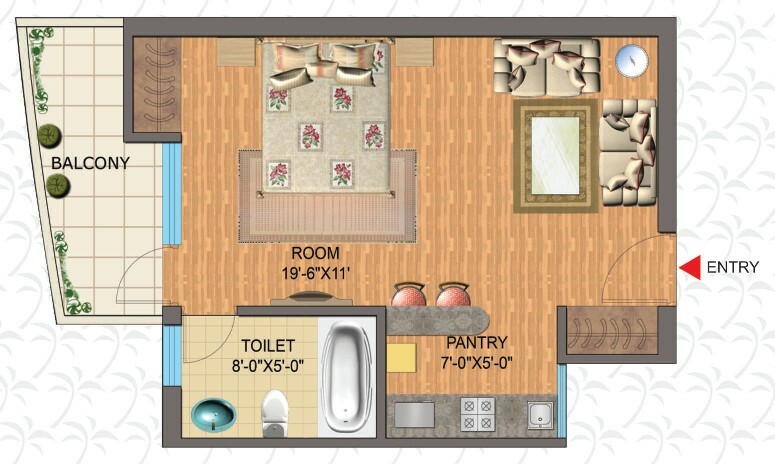 Golden Palm Studio Apartments is a Residential Complex spared in approx 10 acres area located in the heart of Noida in sector 168 bang on the main Noida expressway. Golden Palm enjoys all the benefits of a perfect location at Noida Expressway which connects it with all important areas of Delhi NCR. All flats and apartments at Nimbus Golden Palm come readily equipped with a wide range of amenities which include exclusive features like air conditioning, club house, full power backup, play areas, landscaped greens and much more. Nimbus India Limited was originally incorporated as Nmbus Securities Limited vide Certificate of Incorporation dated December 14, 1994 with the Registrar of Companies, NCT of Delhi and Haryana at New Delhi the name was changed to Nimbus (India) Limited vide fresh Certificate of Incorporation dated March 1st,1999. It is 10 minutes drive from near present Metro Station and Opposite from Proposed Metro station, 10 Minutes drive to the shopping hub Of Noida Sec 18.